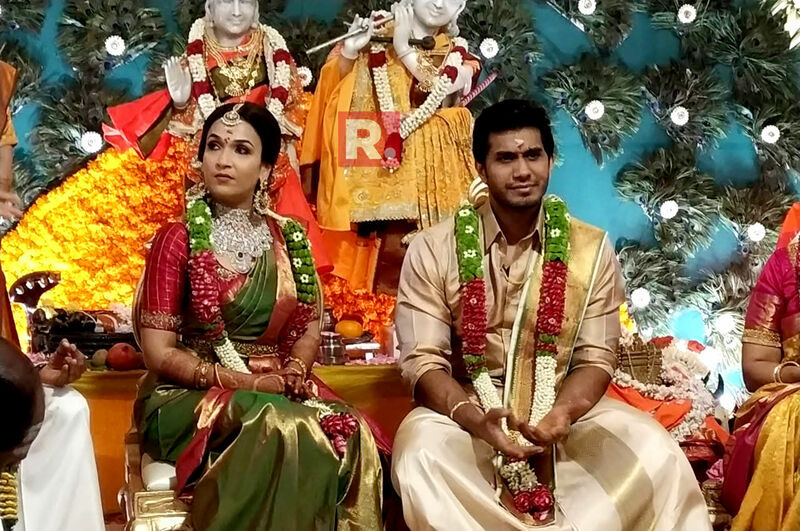 Superstar Rajinikanth's daughter Soundarya Rajinikanth finally tied the knot with businessman and actor Vishagan Vanangamudi today, February 11, and the pair looks phenomenal in the pictures and videos of the grand wedding. 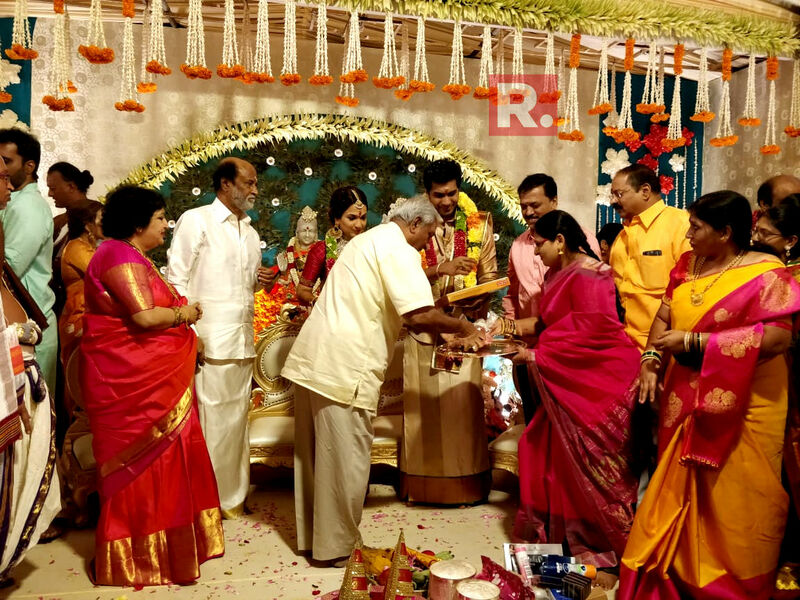 The wedding took place in a completely traditional style with parents of both the bride and the groom in attendance. 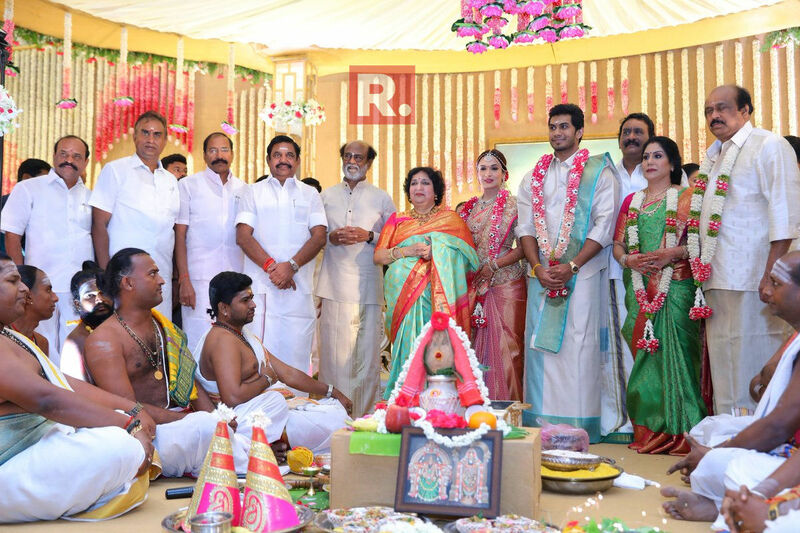 Superstar Rajinikanth's daughter Soundarya Rajinikanth finally tied the knot with businessman and actor Vishagan Vanangamudi today, February 11, and the pictures and videos of the grand wedding surfaced recently. 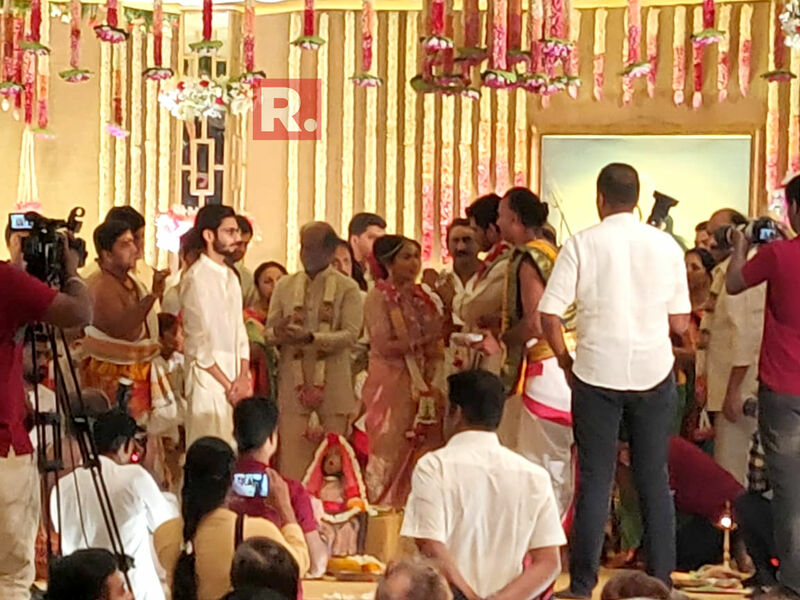 As the pair tied the knot, superstar Rajinikanth and his wife, daughter Aishwarya R. Dhanush and son-in-law actor-musician Dhanush were also spotted attending the event. Earlier on the day, Soundarya and Vishagan were spotted arriving at The Leela Palace hotel in Chennai where the wedding took place. They posed hand-in-hand for the paparazzi with their parents before heading towards the venue. Both the bride and the groom looked phenomenal on their wedding day. While Soundarya dazzled in a gorgeous pink and gold saree, she accessorized herself with heavy ethnic jewellery. She can be seen wearing two necklaces with matching earrings and a heavy maangtika completing her bridal attire. Meanwhile, Vishagan can also be seen carrying the traditional look sported a white kurta with a blue dupatta. The wedding took place in a completely traditional style with parents of both in attendance. A plethora of functions took place ahead of the wedding rituals. Watch the video above. This is a second marriage for both Soundarya and Vishagan. Rajinikanth's younger daughter was previously married to businessman R Ashwin with whom she has a three-year-old son Ved. The couple is said to have got engaged last year. 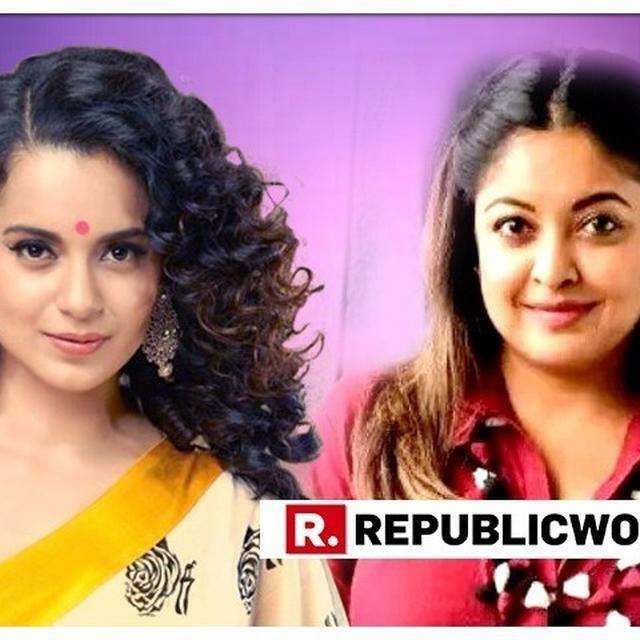 On the professional front, Soundarya is a designer and has worked in numerous film projects, including with her superstar father as well as Deepika Padukone. 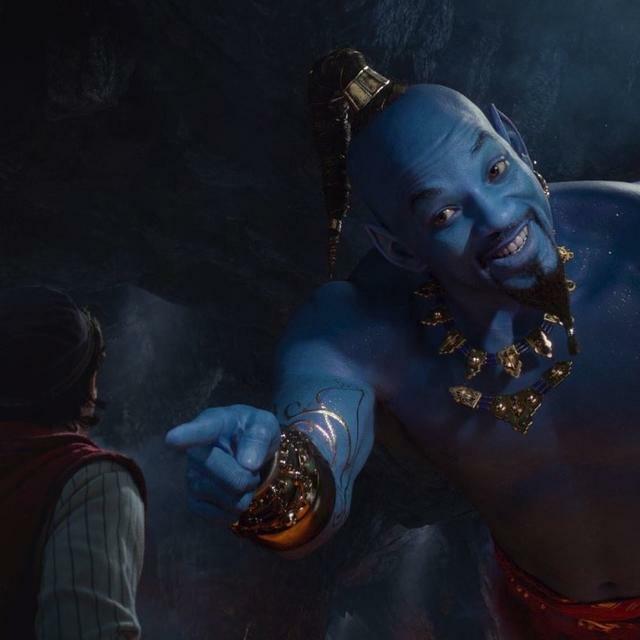 Vishagan, on the other hand, runs his family business, a company in the pharmaceuticals space and recently, made his acting debut in Tamil movie 'Vanjagar Ulagam'.